I like to give gifts that are meaningful and homegrown, homemade whenever possible. Giving gifts for the tea lover is no exception. Thankfully, the options for frugal, homegrown, and homemade tea gifts are abundant. Tea is by it's very nature is a simple drink but a few accessories makes it better. A strainer is needed for herbal and bulk teas. This stainless steel strainer with a plunger is one of my favorites. 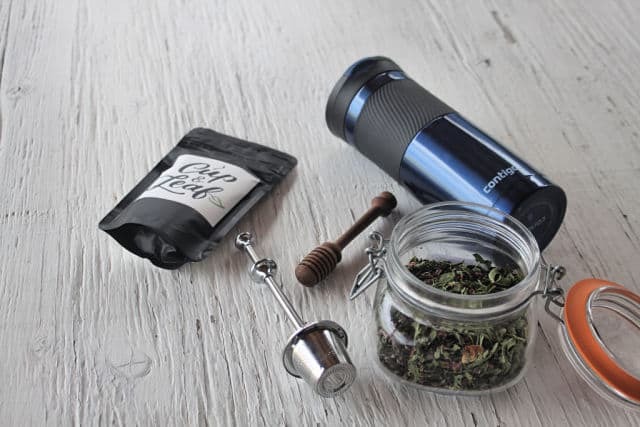 It's easy to use and long handle makes it ideal for tall travel mugs. The plunger ideal for squeezing out every drop of concentrated flavor. Simple tea balls are handy for tea and so much more. Having a few around is always a good idea for most tea drinker. Heating water is, of course, necessary for tea. A simple pot works but there are so many other stylish ways to go about it. I, personally, love a whistling tea kettle on the stove at home. At the office, I use an electric tea kettle to heat water rather than a microwave. These electric kettles are perfect for folks with day jobs or students living in dorms without stoves, etc. For folks who like to serve lots of tea, tea pots to bring to the table are often an ideal gift. Look for something vintage or handmade for something truly unique. Obviously, tea needs a cup from which to drink. The one caveat to this – don't give another mug to someone who simply doesn't need it unless it's very special or unique otherwise it can easily become clutter. 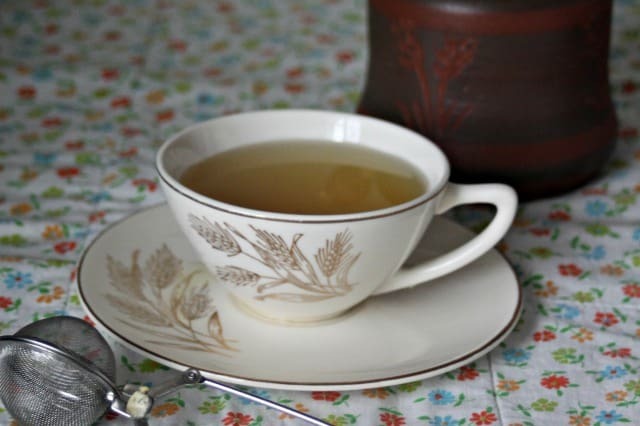 The fancy porcelain tea cups and saucers of our grandmothers are always delightful. Handmade ceramic mugs are also something truly special. For the commuter or frequent traveler, an insulated travel mug is superb. I like the ones that are leak proof because, I'm messy. Every tea lover enjoys having a selection of tea choices at their disposal. Give store-bought, homegrown herbs, or homemade blends. Put those homegrown dried herbs in pretty jars and give them with a strainer for a simple but lovely gift basket. Mail homegrown dried herbs in bags with pretty labels for a lightweight package full of joy. Give bulk teas to give the tea lover some new variety. Pick things in green, black, herbal, etc. 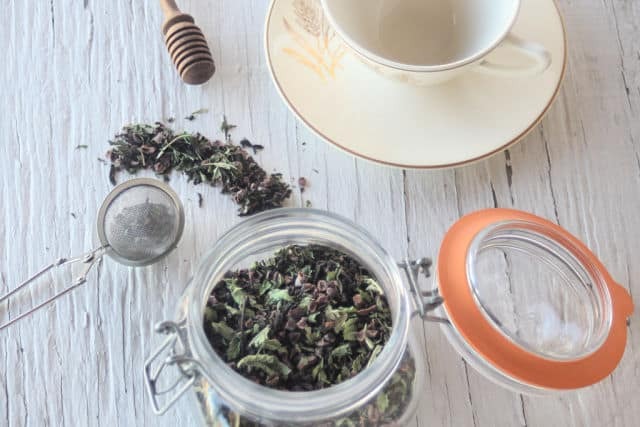 A chocolate mint tea is a great way to combine homegrown herbs with black tea for a dessert drink. Mix energizing herbs and spices for the tea lover skipping caffeine. Combine ginger, lemon balm, and green tea to aid digestion and relaxation. Help loved ones fight off cold & flu season with an immune building blend. 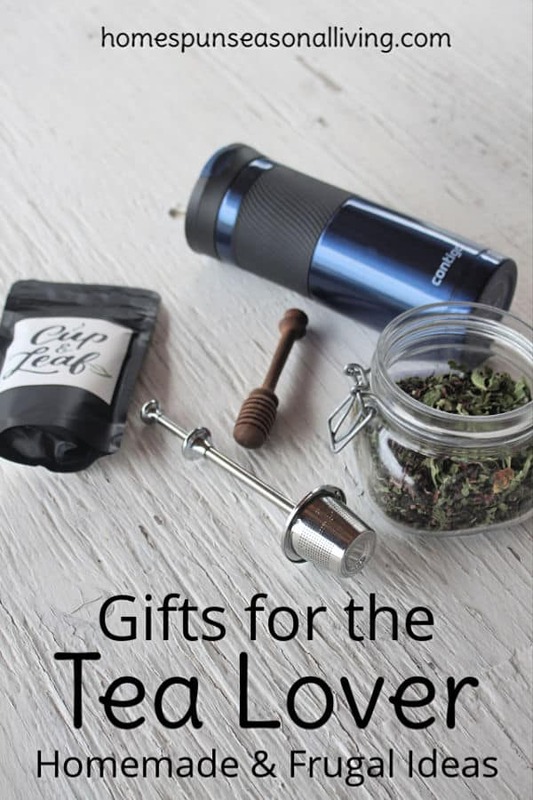 Take the tea gifts up a notch a two with a few little extras. Honey and tea are often natural partners. Include a jar of local honey and a dipper. 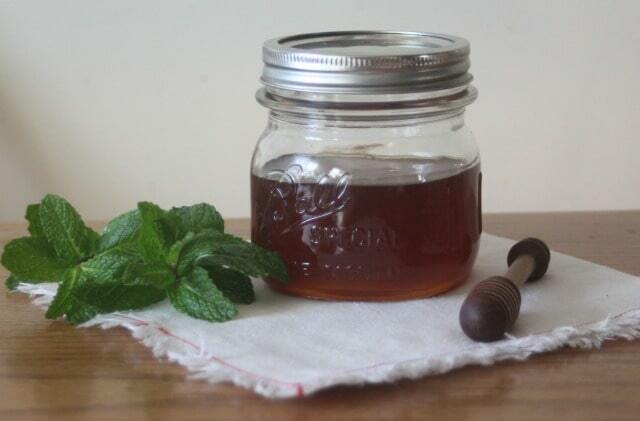 Make a jar of infused honey for extra flavor. A bottle of brandy or whiskey for hot toddy making is a fun twist. Homegrown Tea is perfect for the tea lover who is also a gardener. It will help them grow, harvest, and blend teas from the garden. For the history buff, For All the Tea in China explains how England stole tea from china and the impact on the drink and society for that matter. My e-book, The Fiercely D.I.Y. 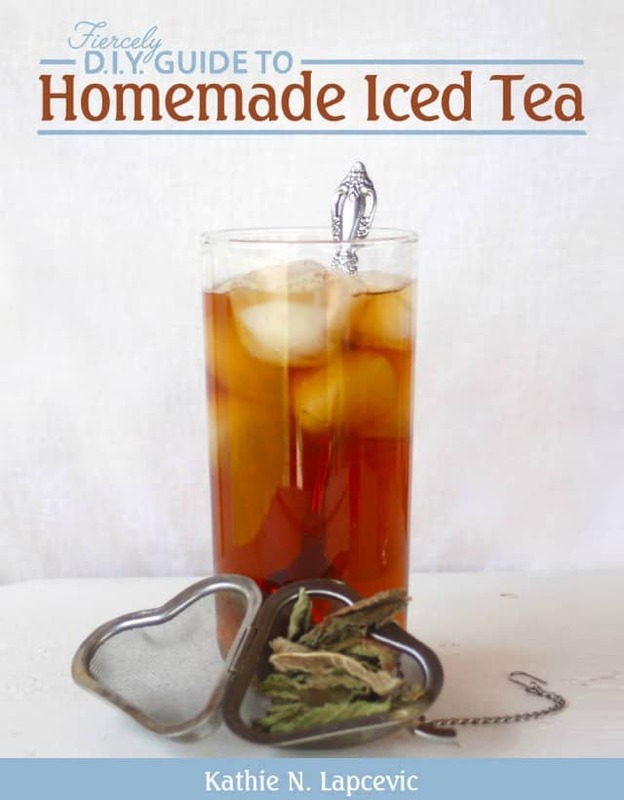 Guide to Iced Tea, includes recipes, ideas and more for tasty and healing iced tea drinks. A simple gift bag always works but we can make gifts a little nicer should we desire while skipping wasteful wrapping paper, etc. Simply tie a tea ball to the outside of a jar of homemade tea with a little ribbon or leftover yarn. Put a couple teas and a mug in a basket with some homemade chai inspired cookies. Mail homemade tea bag shaped cookies and a homemade tea blend to share a bit of home with loved ones far away.